We are delighted to welcome the award-winning textile designer, Chloe Patience to the School in November for a ONE DAY BEADING CLASS. Her unique hand embroidery and embellishment for the fashion and interiors markets have been heralded internationally by the luxury markets, with, among others, Lady Gaga and Beyonce wearing her ‘bebaroque’ label. Chloe has now started to focus on her freelance embroidery design, offering a truly unique and delicate approach to any given project. Recent projects with well known companies, include Wolford, Timorous Beasties, Nobody & Co and Bluebellgray. The Missing Ocean Chair: Commissioned for a second time by super stylish Italian furniture designers Nobody & Co in collaboration with fantastic Scottish interiors brand Timorous Beasties. 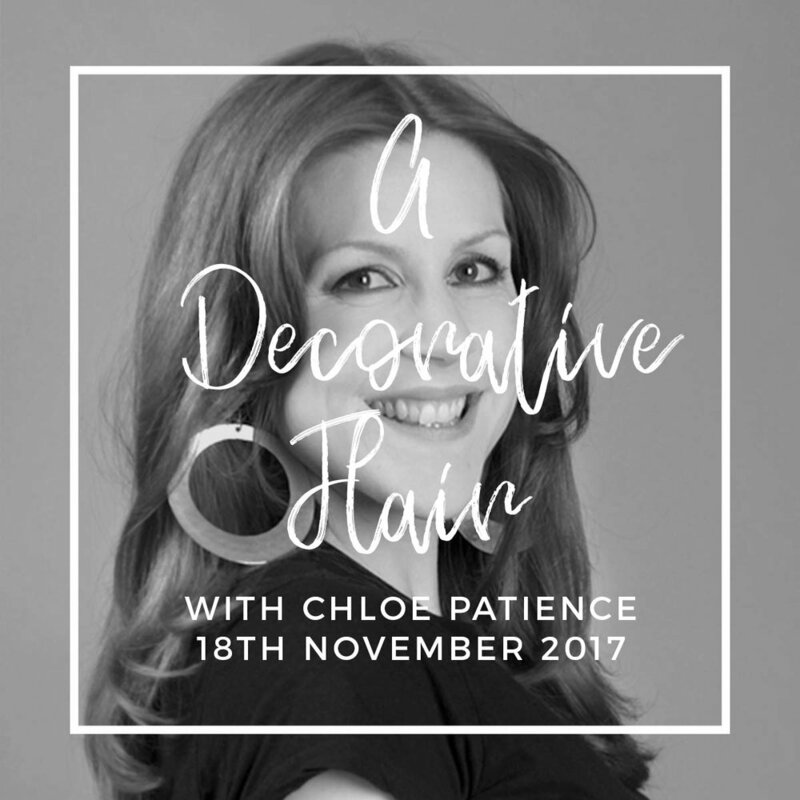 On November 18th, Chloe will be taking the class through exciting beading techniques to embellish a Christmas decoration in an unique and magical way. We will be working a design on linen twill (already traced for you). Chloe has designed this adaptation of our circular sunflower design in gold using sequins, pearls, a few tiny wooden beads and golden threads. The finished piece will make a beautiful Christmas decoration which can be hung on your tree, either in a 5inch embroidery hoop (we provide blank twill for the reverse) or as a mini circular cushion. The embroidery will be worked using a 6inch hoop. BOOK NOW! CHAINED SEQUIN: A hand embroidered sample created for a pervious Wemyss School of Needlework workshop lead by Chloe. This design was created using an archive pattern from the Weymss collection using chain stitch and sequins. Newer PostHow embroidery linked generations of one family from Australia to Scotland. Older PostMary Queen of Scots inspires needlepoint class.